The text is truly a prayer. 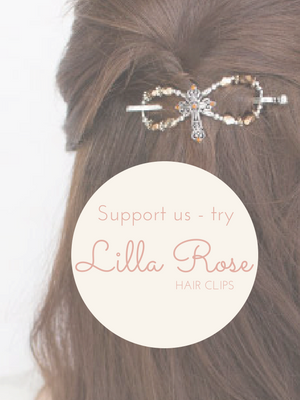 As you read and sing, pray the words. We all need to pray “to banish sin from our delight”, and “guide whatever we nobly do,” and “give us grace our wrongs to bear.” A sobering way to start the week, but at the same time, if we are honest with ourselves, the help we are asking for in this hymn, addresses the crosses we all face. To burn the tares of Satan’s seed. The Father perfect in the Son. Amen. 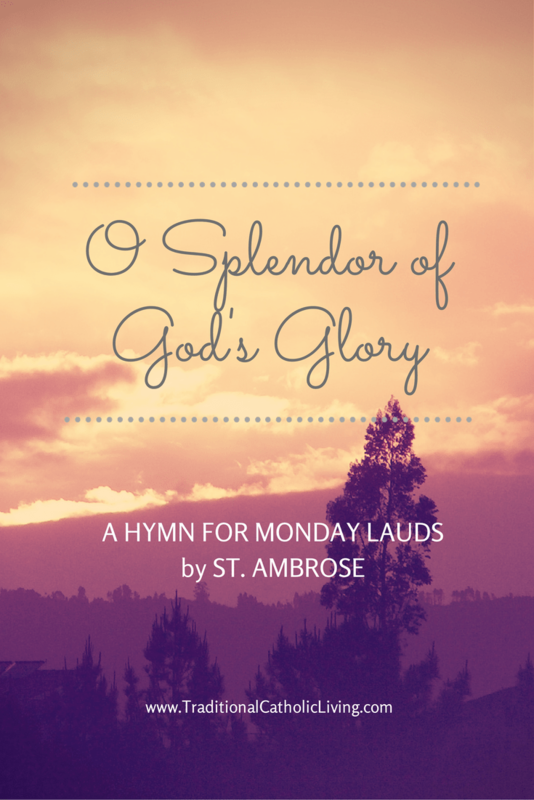 Wondering how to remember and actually USE and SING the hymns when you say Morning Prayer? I print out the music and add it to our Family Hymnal. Click here to print the PDF of the score I made at Musescore! 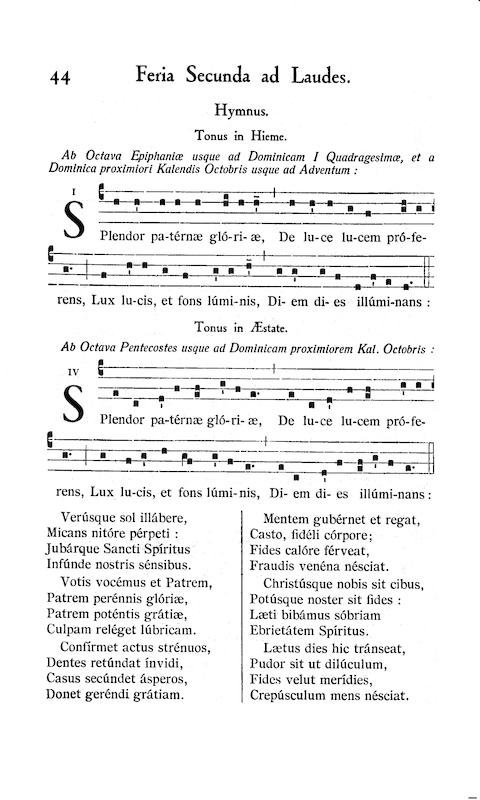 Or, if you prefer to print out the Latin chant, keep reading! 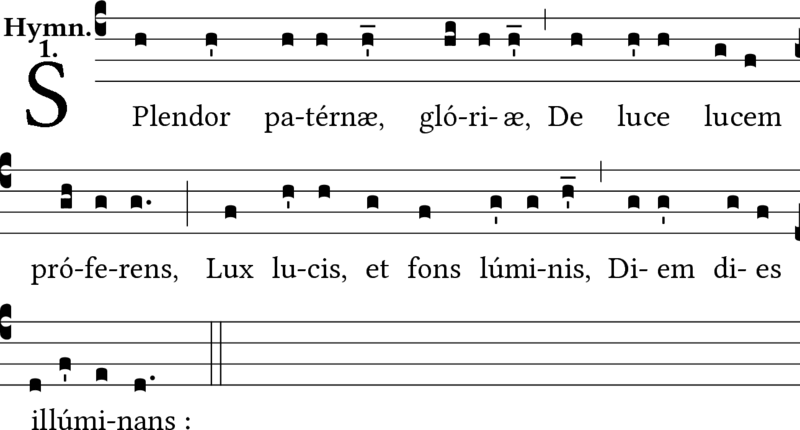 Click here to listen and follow along as a monk from Solesmes sings the neumes above, or simply listen and pray the words as he sings. Learn the to sing the Latin hymn by clicking the links below. Click here to download the above image from GregoBase. Another image with the verses is at the bottom of this post. et totus in Verbo Pater. Amen.